Bryan Townsend is Of Counsel in Morris James LLP’s Corporate and Fiduciary Litigation Group and Business Litigation Group. Bryan also serves as a State Senator in the Delaware General Assembly. Bryan focuses his legal practice on litigation involving fiduciary, corporate, and commercial matters in the Delaware Court of Chancery, where from 2009-2010 he served as a law clerk to Chancellor William B. Chandler III. He has represented directors and officers, as well as stockholders, in litigation matters ranging from appraisal valuations to disclosure claims to claims for breaches of fiduciary duties. Bryan has advised special committees and directors on the discharge of their fiduciary duties in reviewing proposed transactions, and he has coordinated with expert witnesses on methodologies and developments in appraisal and valuation law. Bryan has also represented companies involved in commercial litigation, including post-closing price adjustments and stock purchase agreements. 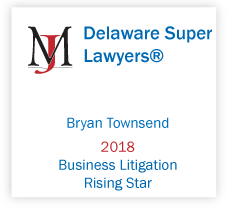 In addition to his experience in the Court of Chancery, Bryan has represented clients involved with business litigation in the Superior Court of Delaware and the United States District Court for the District of Delaware, as well as pro bono clients in Delaware Family Court. In the Delaware General Assembly, Bryan serves as Chair of the Senate’s Health, Children & Social Services Committee and as a member of several other committees, including the Banking, Business & Insurance Committee and the Capital Improvement Committee. Since becoming a State Senator in 2012, Bryan has sponsored several pieces of legislation that have updated the Delaware General Corporation Law and Delaware’s Unclaimed Property law, and he has chaired or served on task forces that have examined Delaware’s fundamental revenue streams and infrastructure needs. 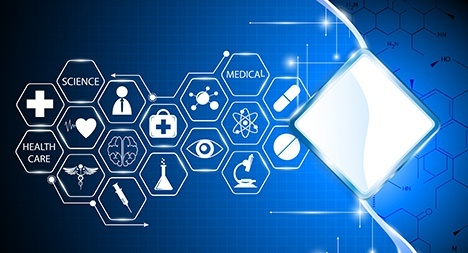 Is Delaware Poised to Dismiss Premature Litigation?